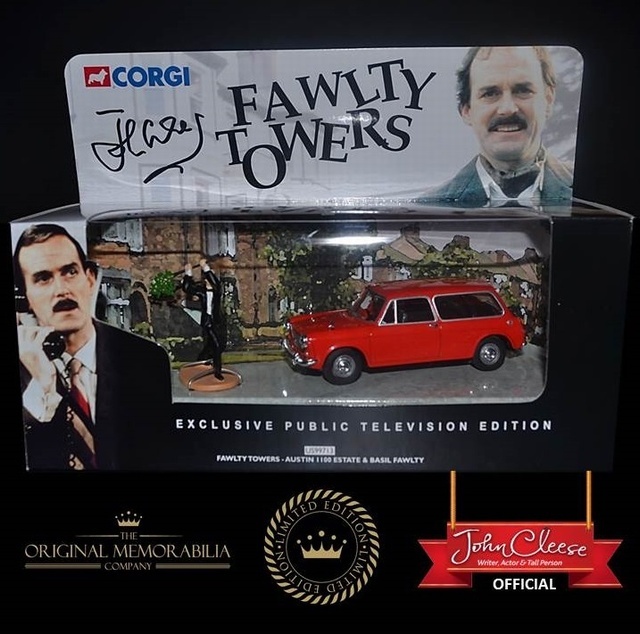 The Ministry of Silly Walks For the first and only time John Cleese has authorised and signed two unique limited editions from the 'Ministry of Silly Walks'. 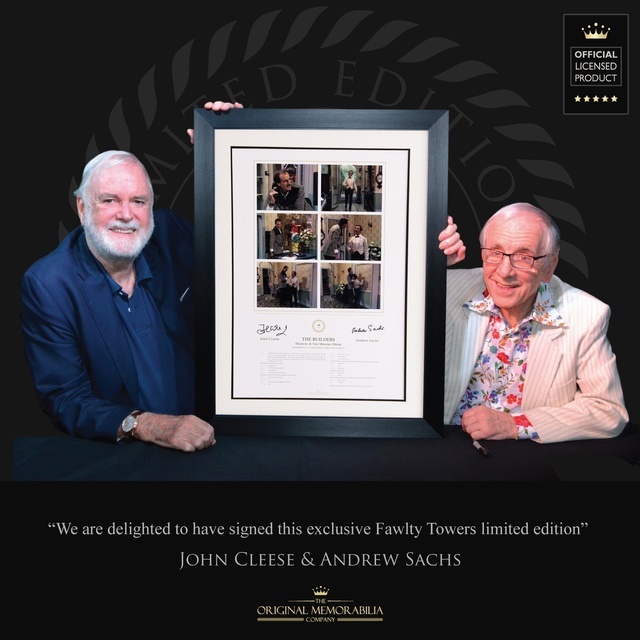 For the first and only time John Cleese has authorised and signed two unique limited editions from the 'Ministry of Silly Walks'. 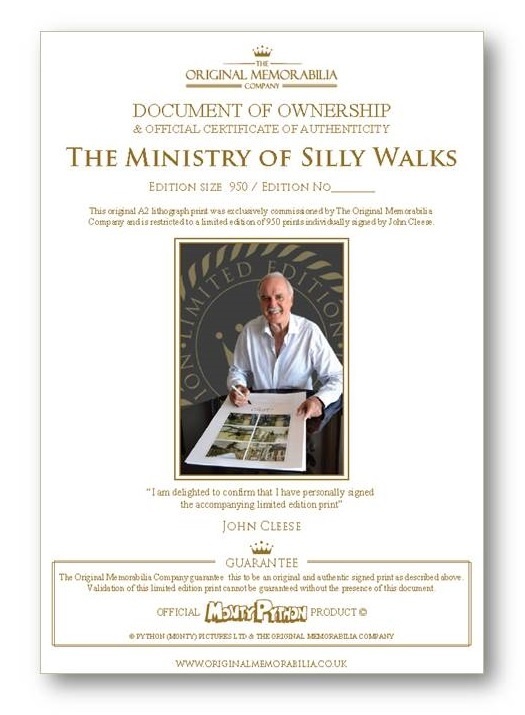 For the first and only time John Cleese has authorised and signed two wonderful limited editions from the 'Ministry of Silly Walks'. 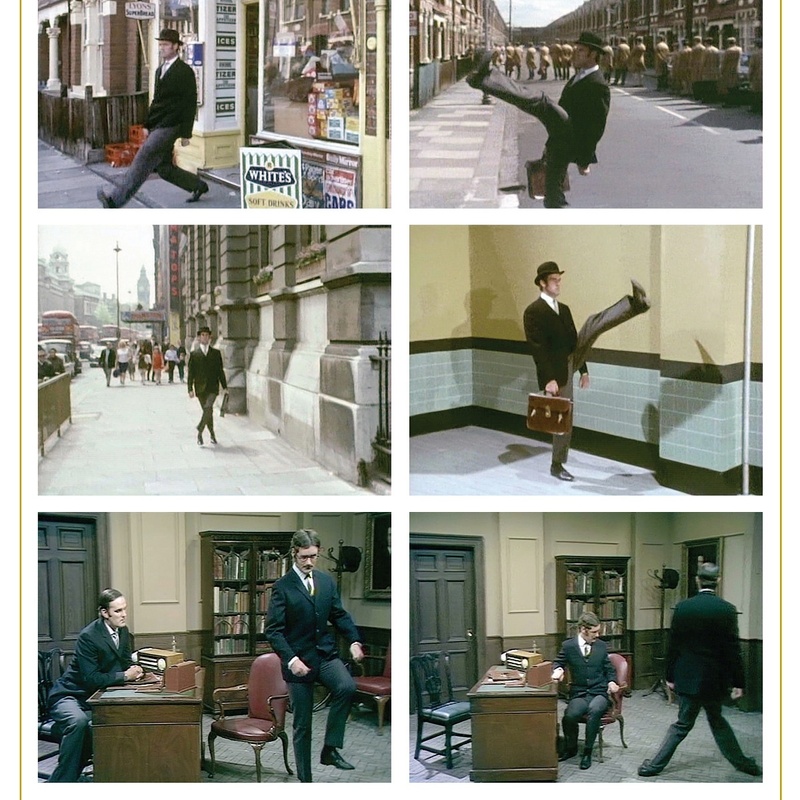 This wonderful limited edition is beautifully presented with 6 official sequential colour screen shots from this classic sketch along with more than 50 lines of official script including the Minister apologising for arriving late for a meeting due to his walk becoming rather sillier recently! 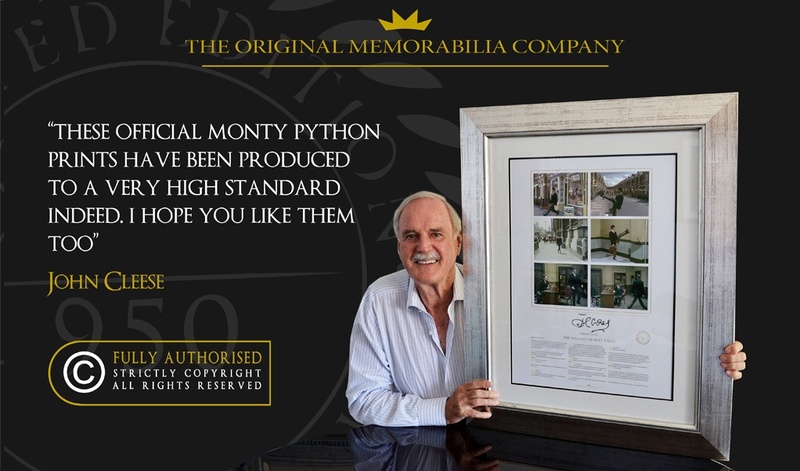 This is a fully authorised and approved Monty Python limited edition commissioned and published by The Original Memorabilia Company. Full copyright information is discretely credited on each print. 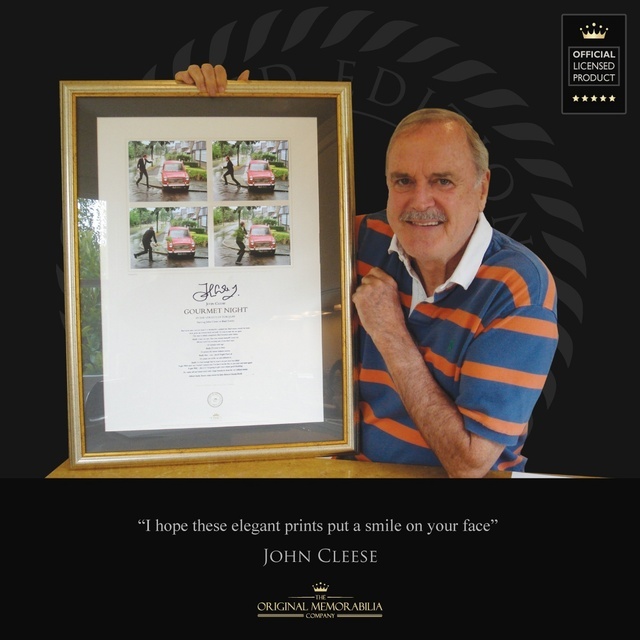 Printed to art quality standards using light fast inks and gloss varnished images on heavy archival quality 300g stock, each large hand numbered lithograph print has the subjects name and title embossed in gold block giving a gold leaf finish to your purchase. 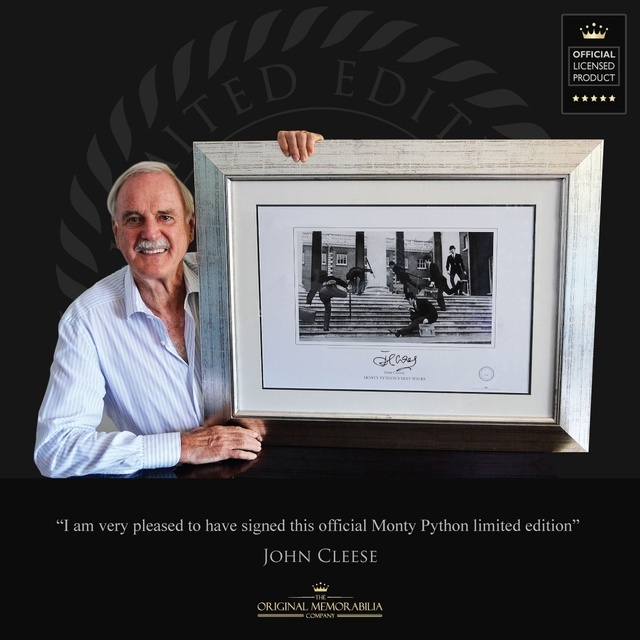 Every single print in this edition has been individually and personally signed by the subject John Cleese in high density black ink and is signed 'John Cleese'. Each piece carries a Gold Limited Edition Seal with the number 950 confirming the size of the edition. Your unique print number is then entered by hand. For example 1/950. 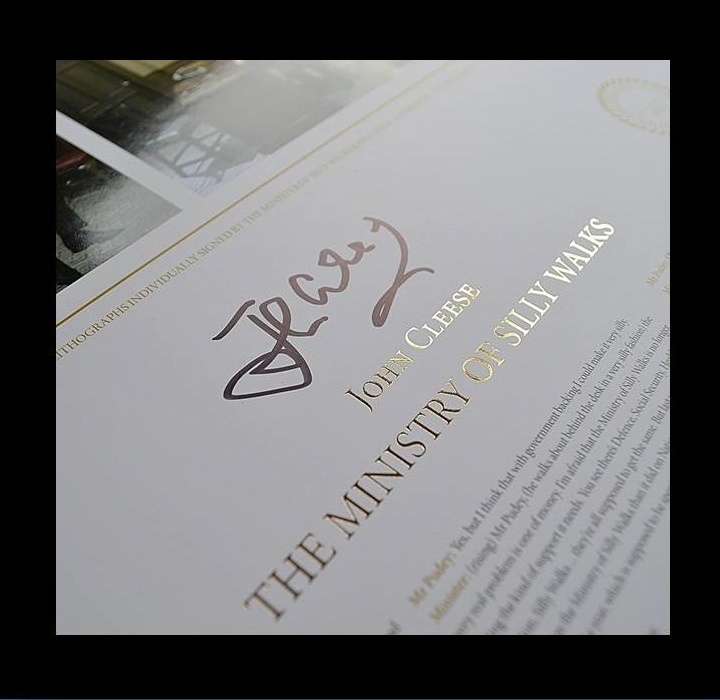 In addition to a strict limit of 950 prints your purchase is further safeguarded by our unique Document of Ownership & Certificate of Authenticity that is provided with every purchase. See Authenticity. 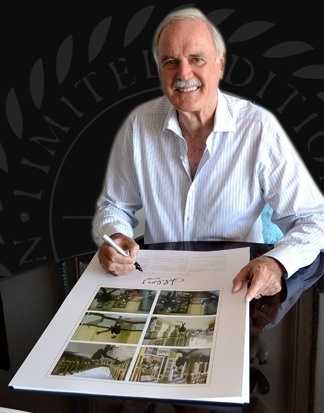 To ensure your order arrives in perfect condition we do not send framed limited editions outside the UK. 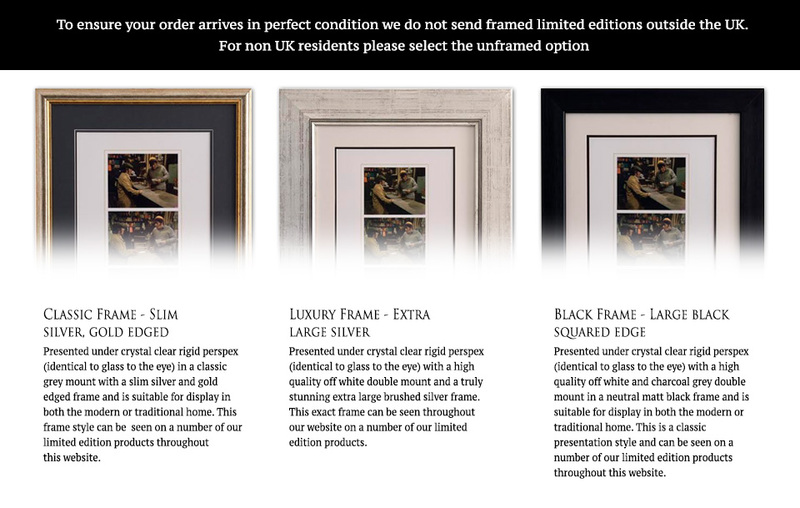 For non UK residents please select the unframed option. Your unframed order will arrive gold wrapped and sealed ready to frame or archive or to give as a unique and original gift. Worldwide delivery is available on a secure 'signature required' delivery service. For framing options please see the top of this listing. Whichever option you choose your purchase is fully covered by our 14 day Money Back Guarantee if you are not absolutely delighted. We are delighted you are considering placing an order with us and are very happy to confirm that we have been delivering orders safely around the world for many years. We currently use the Royal Mail Signed For Services along with other respected providers of signed for delivery services. Your order will be dispatched in very robust packaging on a signature required service. Please allow 3 working days for unframed orders and 10 working days for framed orders. We regularly deliver throughout Europe, the US, Canada, Australia and the Rest of the World. Every order is dispatched in very robust packaging on a signature required service. We are committed to delivering exemplary client service, great value and total peace of mind and want you to be able to buy with confidence. 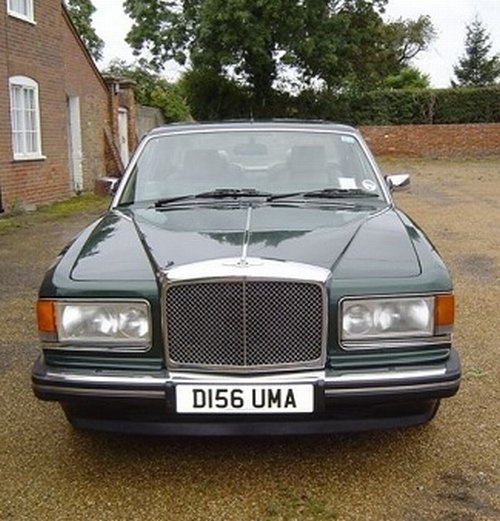 In the unlikely event that you are not absolutely delighted with your purchase please return it to us within 14 days and we will happily and without question refund your money in full. Please note this excludes all items sold by auction. The Original Memorabilia Company are proud members of the Fine Art Trade Guild. 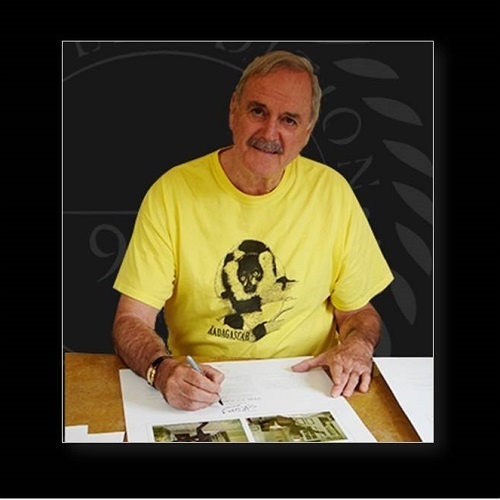 Founded in 1910 the Guild champions quality standards and is intent on preserving the integrity of the limited edition print. 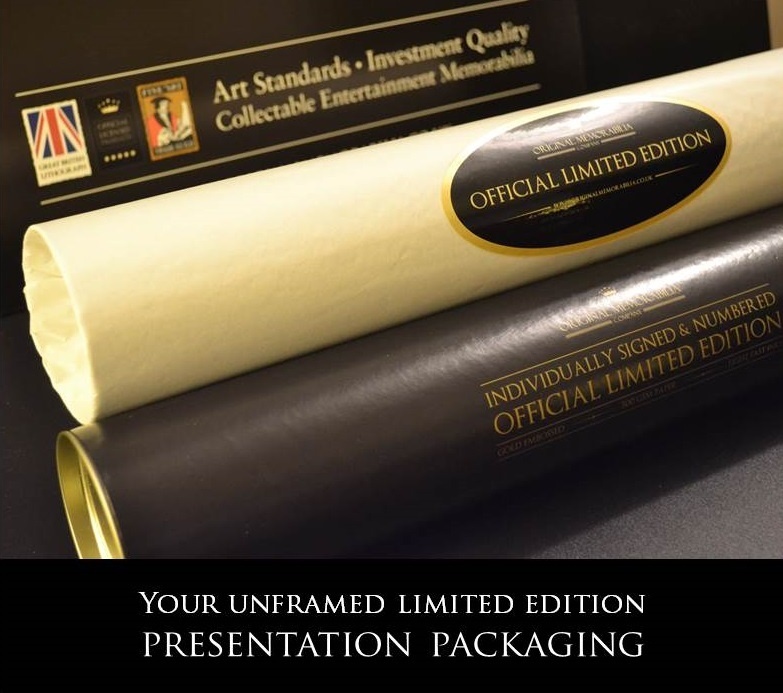 Only publishers of limited edition artwork that conform or exceed Guild standards are granted membership and approved to use the Guild logo. 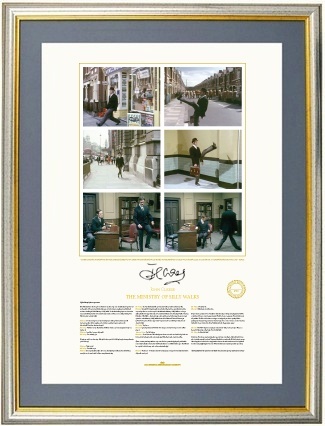 All limited editions published by The Original Memorabilia Company are lithographically printed on high quality acid free (PH level between 7-9) 300gsm heavyweight stock and are printed using light fast inks. In addition all images are gloss varnished and every print since 2008 has the subjects name embossed in gold or silver completing a high quality look and feel to every archival quality print.